Follows a spider as it collects items to decorate its web from a landscape filled with insects, leaves, flowers, feathers, and seeds, all labeled for identification. Heidi, a tall, twig-like stick insect, does everything she can to make friends on her first day at Bug School, but even her teacher, Miss Orb, fails to notice her. A wistful blue squirrel and an athletic red rabbit are each looking for a friend and missing each other by inches, although helpful bugs are trying to steer them in the right direction. A startled little flea triggers a domino effect of surprised jumps in a grasshopper, a bunny, a dog and other animals in a circular story poem that combines engaging action words with mixed-media collage art. The garden was old and forgotten, with a tumbledown wall and a one-wheeled barrow. So they moved in one by one, by one. What may appear to be an abandoned garden is actually home to an eclectic array of insects, from a ladybug who prefers making mud angels to acting like a lady, to a roly-poly bug who loves to roll, to a cricket who dreams of grand adventures. From butterflies and moths to crickets and cicadas, a rhyming exploration of backyard-bug behavior. Where do bugs go in the winter? Some die, laying eggs to hatch in the spring. Others do different things, like ladybugs that huddle together for warmth, monarch butterflies that migrate all the way to Mexico, and woolly bear caterpillars who actually freeze and spend the winter as bugsicles. Insects do amazing things with this part of their anatomy. Discover the different ways insects use their butts to avoid predators. Spittlebugs blow bubbles from their butts and hide under them, while some caterpillars shoot their poop far from their bodies to throw poop-searching wasps off their trail. Ants and beetles spray acid from their butts into the faces of predators, while some caterpillars and larvae build hide-outs with their poop to keep predators away. 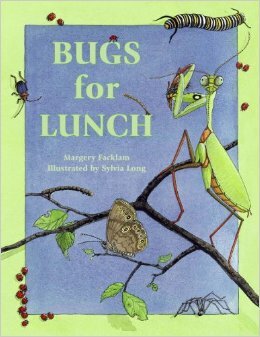 This nonfiction is a great book to use as a resource capturing, keeping and caring for insects found in your backyard. 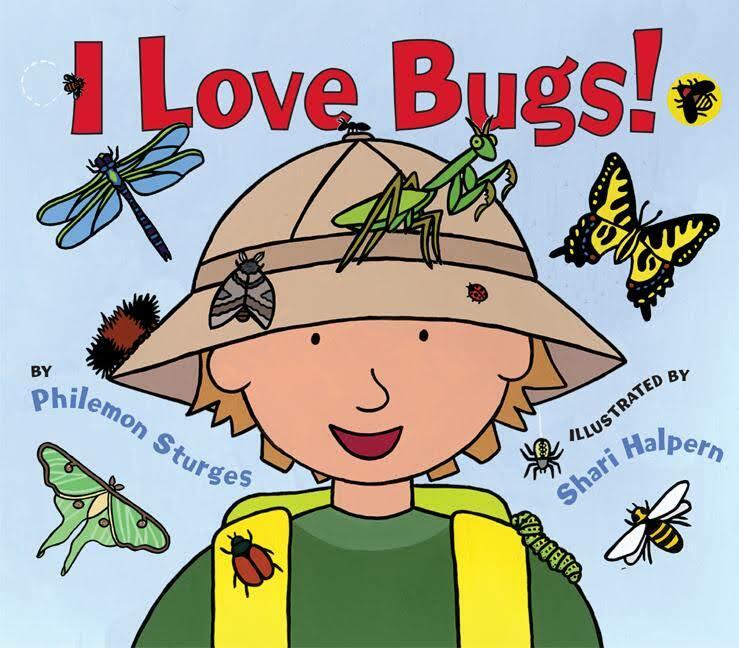 Fun rhyming picture book that includes ants, beetles, bumblebees, butterflies, caterpillars, cicadas, cockroaches, crickets, daddy longlegs, dragonflies, fireflies, fleas, grasshoppers, houseflies, mosquitoes, moths, spiders, stinkbugs, and termites. What Do Bugs and Lunch Have in Common?